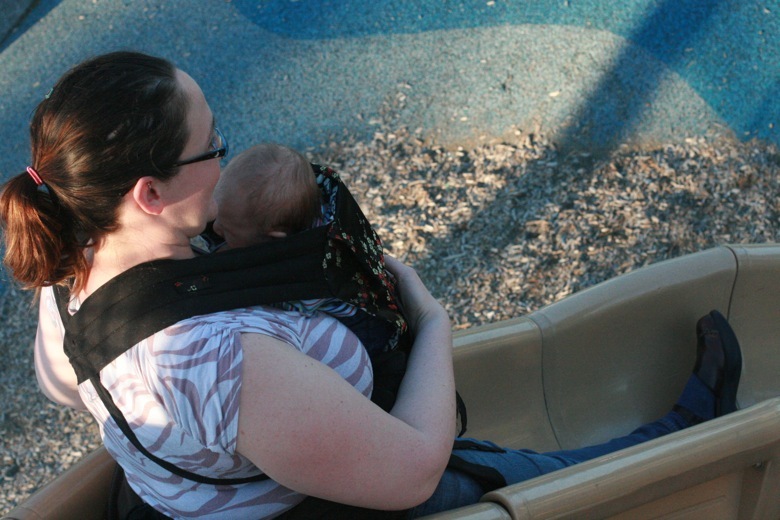 I am happy to have a guest post today over at Natural Parents Network on "Babywearing in Hot Weather." It’s summer! Summer means beating the heat by wearing sandals and short sleeves and sunglasses and … a baby? This article will give you some ideas for how to tie on a baby when you’re already sweating buckets. 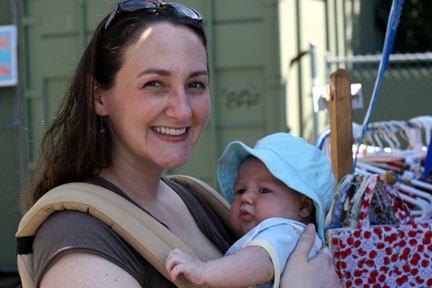 I bust some anti-babywearing myths that are nothing more than hot air, give some tips on how to handle the heat, and suggest some wraps, slings, and other carriers that will cruise you through the summer months. There are already some great comments over at Natural Parents Network with further tips on how to be a hot mama (or papa) in only one sense. Stop on by, and I'll chat with you in the comments over there about summer babies in slings! congrats on the guest blog post. It just doesn't get that hot here.